Injury to soft tissues/muscles account for something like 10-30% of all injuries in sport and hamstring tears are the most common of these. The hamstring acts as both a knee flexor and a hip extensor as well as contributing, to a lesser extent, to external rotation of both the hip and knee. 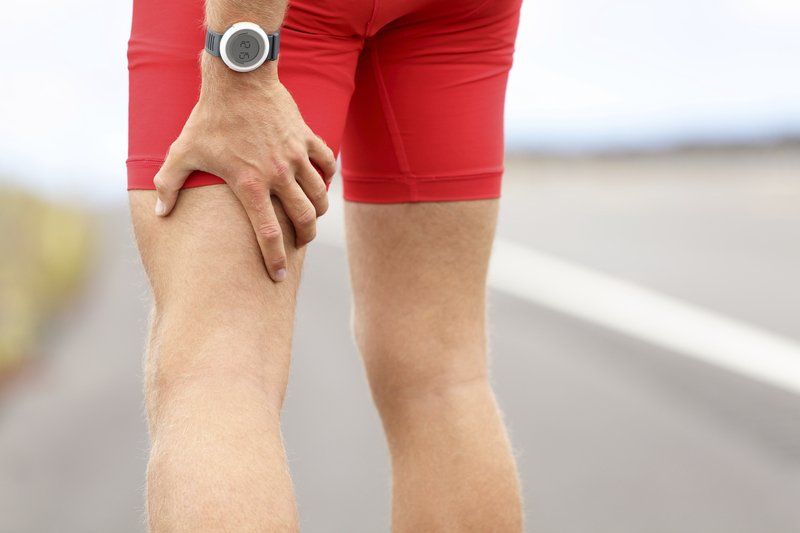 Most common injury to the hamstrings, approximately 70% of all injuries, occur to the biceps femoris, the lateral of the 3 hamstrings, and usually during high speed running where the muscle is required to lengthen and contract at the same time to slow down the leg. The tear is normally in the long head of biceps femoris around the tendinous junction where the muscle is at it weakest. The injury tends to occur towards the end of the swing phase where the knee is approaching full extension with the hip still in flexion and as a result the hamstring approaching maximal length. During this portion of the movement the hamstrings are working very hard eccentrically as they decelerate the leg in both hip flexion and knee extension. This means that they are both lengthening and contracting at the same time as they act as a brake to slow the leg down before the foot contacts the ground. The other common area for a tear is in semimembranosus where there has been excessive lengthening of the muscle in situations such as high kicking and slide tackling. Whilst accounting for less of the injuries this type of injury tends to take longer to heal fully. There are 3 types or grades of injury ranging from a grade 1 to grade 3 tear. Grade 1 tears are the most common and can often feel like you’ve simply got a “niggley” hamstring as there often isn’t a lot of pain , no bruising or swelling and sometimes even little reduction in function. This is because of the amount of tissue damage is less than a muscle fascile, small bundle of muscle fibres. Generally though there will be a feeling of something not being right when running at higher speeds but it will settle down quickly as soon as you stop. As a result of this they can take longer to heal than might be expected as it is tempting to continue with running or other activities that will slow down the healing process. Grade 2 tears you will feel something go and it will stop you immediately and whilst you will be able to walk it will cause you to limp and generally feel sore all the time. There may or may not be bruising that you can see depending on the severity of the tear and there may be some swelling, it isn’t a clear delineation between the the different grades of tears and the damage may be one fascile or a number of fasciles and the greater the number the more likely we are to see bruising and swelling,. This grade of tear can still be managed conservatively and there is likely to be little need for surgery. Grade 3 tears are the most severe and are likely to be accompanied with a popping sound and in the chances are that the athlete will fall to the ground. There will be swelling and bruising that will appear very quickly and there will be sufficient tissue damage that the tear will be palpable. This type of injury will require surgery in order to heal well. With any grade of tear it is best to get professional help to rehab ensure that the injury heals well but prevention is better than a cure so what can we do to help reduce the chance of injuring ourselves in the first place. To begin with we want to make sure that our hamstrings are as strong as possible thereby giving us the best chance of overloading them. One of the best exercises for this are Nordic Hamstring curls. If you have access to a glute/ham bench at the gym then this is ideal of performing these but if you don’t then with a pad to kneel on and a training partner to hold your ankles you’re good to go. The goal here is to be able to lower yourself to the ground under control then raise yourself back to the start position. One of the great things about nordics is the hard eccentric loading that they provide which is an essential component in the prevention strategy as we ideally want to have the ability to lower significantly more than we can lift, 1:1.2 as a rough guide. Single leg RDL’s are another great exercise as they not only provide a strong stimulus to the hamstrings but also makes demands on our ability to control the movement around the hip so as well as getting strong it aids our co-ordination. Ensuring that you warm up well is invaluable as a preventative measure. Taking the time to move from slow movements such as bridges, lunges, squats etc faster movements such as gentle strides before moving to running involving gentle acceleration right up to full speed running helps ensure that the both the muscles and nervous system are primed for the hard work that is to come. So if you have hard high speed session planned or a game then you want to be thinking of warming up for a minimum of 15 minutes. There are other factors to consider such as training load and have there been any significant changes here or are you planning any. If you are then make them slowly so that you have the chance to adapt to them. Previous PostPrevious Is spinal alignment or other structural issues the cause of back pain?